With two back-to-back episodes making “The Final Battle” on May 14, one might wonder — especially considering the title — if that could be the end for ABC’s Once Upon a Time. The network has not yet made a decision on the future of the show; that announcement should come sometime this week, before ABC announces their Fall schedule on May 16. 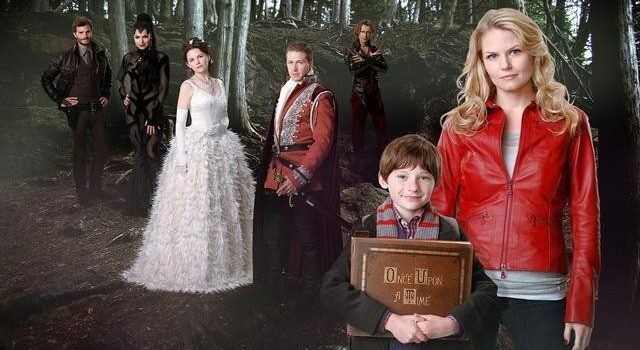 Should a Season 7 happen, it is said that the producers were trying to lock down four actors – Jennifer Morrison (Emma), Colin O’Donoghue (Hook), Lana Parrilla (Regina), and Robert Carlyle (Rumpelstiltskin) – with some new characters added to the mix for a “rebooted” version of the show. Earlier this week following a screening of the Once Upon a Time musical episode, we spoke with Executive Producers Adam Horowitz and Edward Kitsis about the final two hours, an epic that builds on the theme of “belief.” For starters, there is the loaded question: What will fans think if this is the final episode ever? “I would say that if this was the series finale then you would have the usual opinions on a series finale, ranging from the best ever to the worst ever because that’s the Internet,” Kitsis says. “What I would say for fans is that it will be complete, so they will not have any dangling threads where they’re like, ‘I can’t believe they!’ We’re not going for a crazy ending that everyone goes, ‘Well, what does that mean?’ And ‘I feel unsatisfied’ or ‘I’m not feeling like you came for the characters’ or whatever. We understand that this could be the last year so we aren’t — trying to hope for the best. We feel like we’ve completed this story and the next chapter of Once Upon a Time will be completely different,” he adds. “I think the way we sort of look at it is these are stories for these characters and there are set end points to different stories but that doesn’t mean that there aren’t new stories for different characters,” Adam Horowitz adds. “So I think that by the end of the season finale, a lot of what we’ve been doing for the last six years is wrapped up in a very satisfying way and then we move forward in a way that at the end of it, hopefully you’ll see what we’re hoping to do in season seven,” he continues. “I think if there’s one thing this show has done, it’s reinvented itself every year and so this show has the ability to be many different shows so we feel like creatively it’s time to end a few stories but the new show, we feel like this is the kind of show that regenerates. And I think when you see the ending you’ll go, ‘Oh yeah’,” Kitsis hopes. And for those other stories — could some more minor Once characters take a leading role now? “I would say that probably if you think the reboot is going to be ‘oh my God, it’s Bashful and Sneezy on a road trip,’ the network did not go for that,” Kitsis jokes. Once Upon a Time “The Final Battle” is a 2-hour event that airs Sunday, May 14 on ABC. Browse KSiteTV for more OUAT content and be sure to come talk about tonight’s episode on our Once forum!